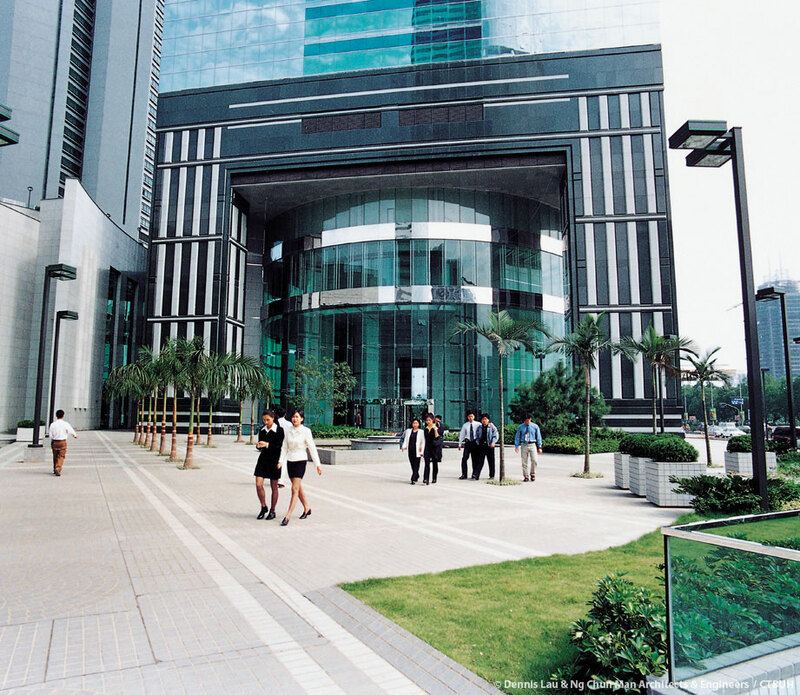 CITIC Plaza is the centerpiece of the Tien He development in Guangzhou and acts as a centralizing hub for the neighborhood. 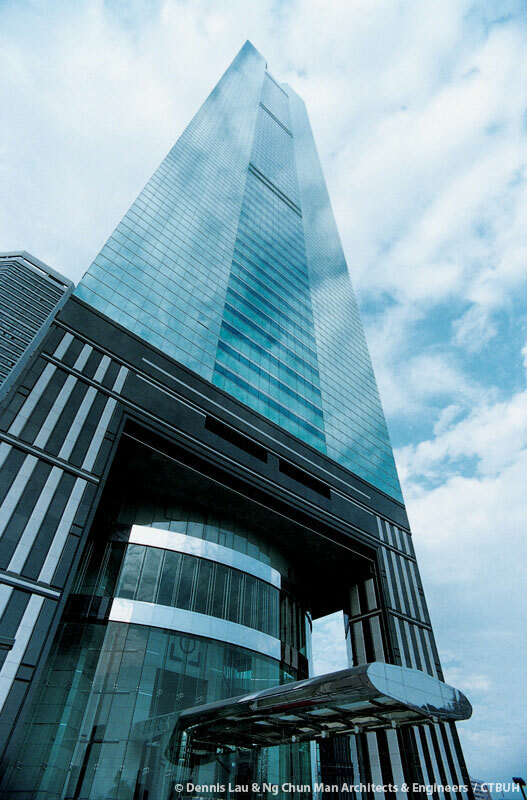 The tower complex is at the center of a four-kilometer-long axis of gardens and boulevards stretching between Guangzhou East Railway Station, Guangzhou’s main railway station in the north, and Haixinsha Island to the south. 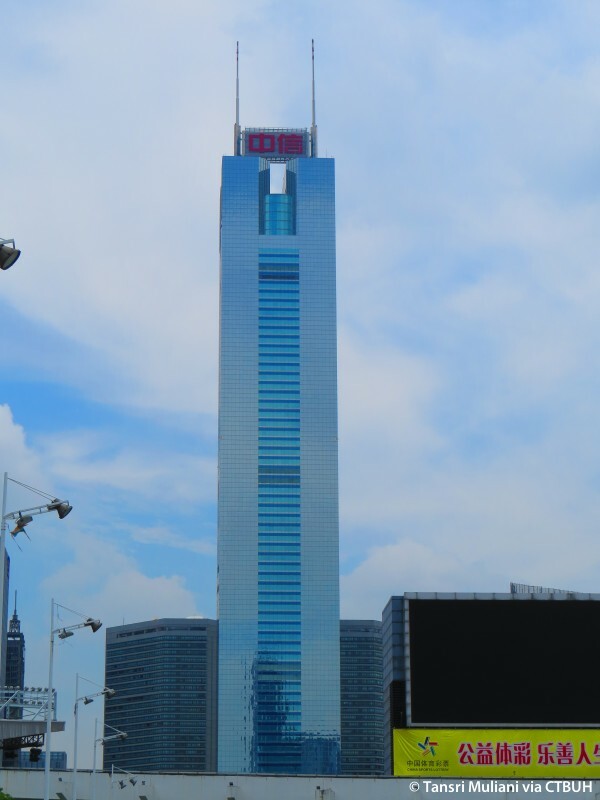 The symmetry of the CITIC Plaza development complements the formality of the surrounding urban axis, with the main tower being the first sight that visitors see as they emerge from the main railway station. 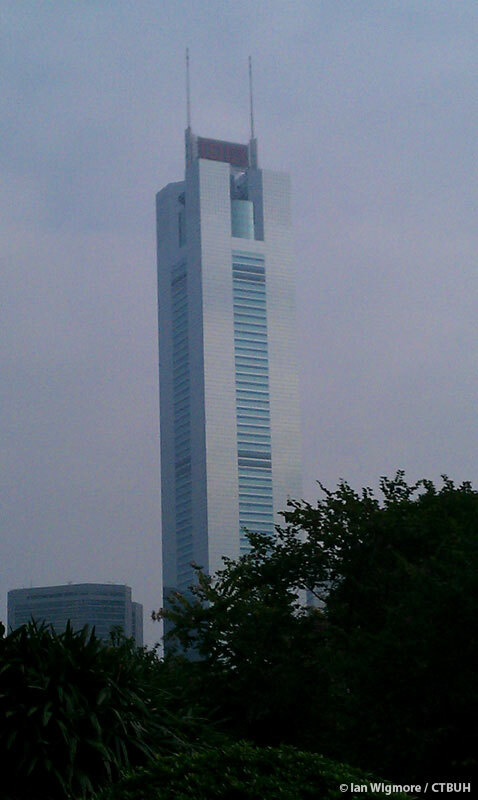 The tabula rasa planning of the Tien He district provided few cues, save for its symmetry, for the form of CITIC Plaza. The layout of the tower is therefore largely driven by pragmatic principles of office planning, unconstrained by the site characteristics that so often influence the forms of buildings elsewhere. 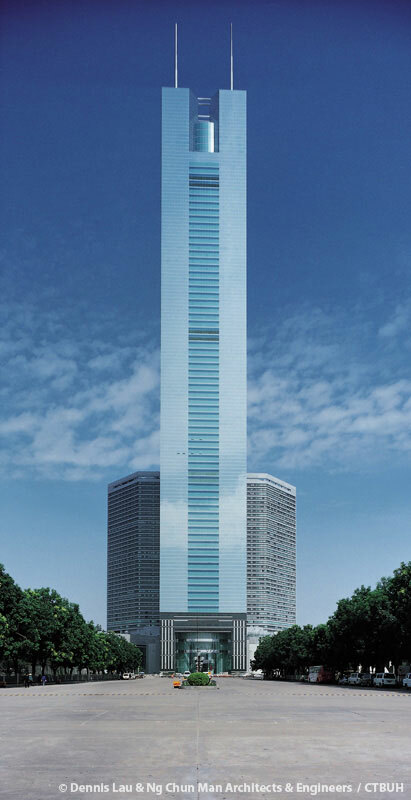 In plan, the tower is incorporated in the larger development through a superimposed circle-on-square geometry that traditionally symbolizes the unity of sky, represented by the circle, and land, which is represented by the square. The fitting out and detailing of the tower reflects the design elements present throughout the larger development. 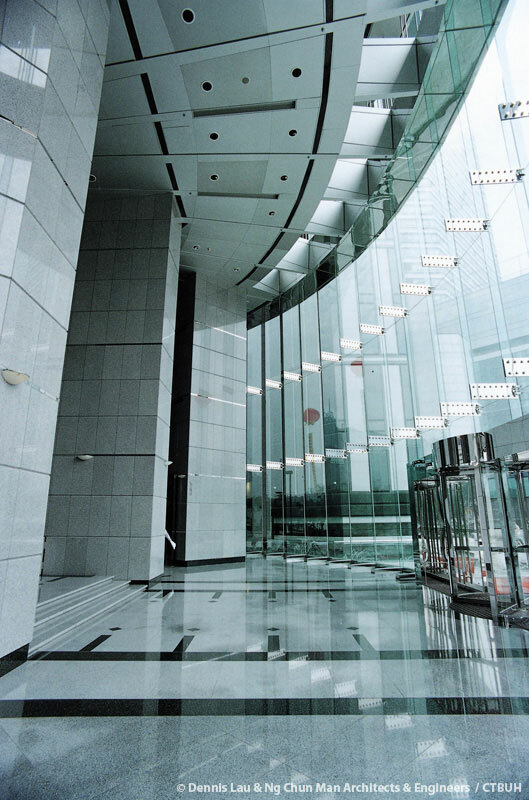 External and internal finishes of polished grey granites, glazed ceramic tiles, and turquoise and blue tinted reflecting glass offer a consistent and simple palette of colors and textures throughout the building. 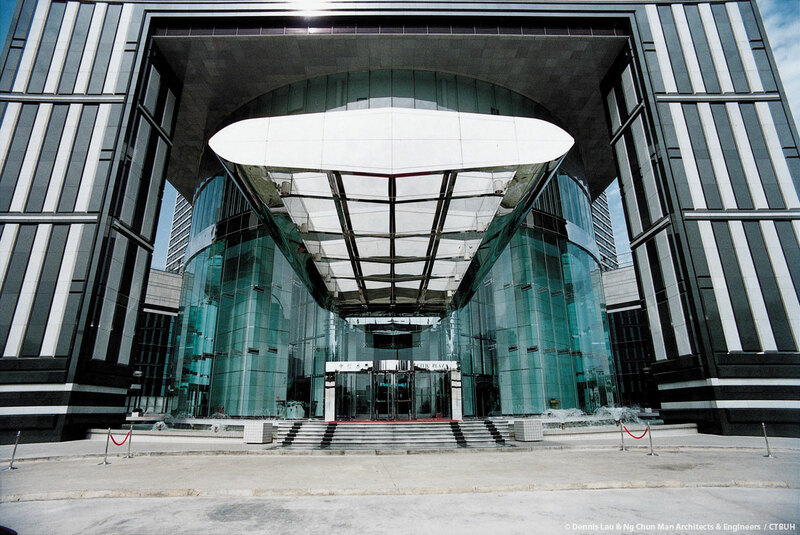 The Envelope is virtually free of indentations that would increase façade area and the associated construction, running, and maintenance costs. Instead, the great scale of the structures is visually attenuated, and its symmetry amplified, by the application of contrasting colors of glass and stone finishes. 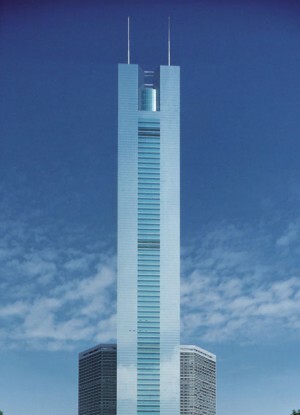 The tower’s reserved simplicity, yet notable presence in the Tien He district have earned it a reputation as a sturdy and robust example of the Guangzhou spirit.